This Mount Desert Island bride was a seamstress and created two incredible wedding dresses for her wedding day. This second dress, with tons of fancy fringe, was brought out especially for the bouquet toss and garter removal and was all about the dancing. 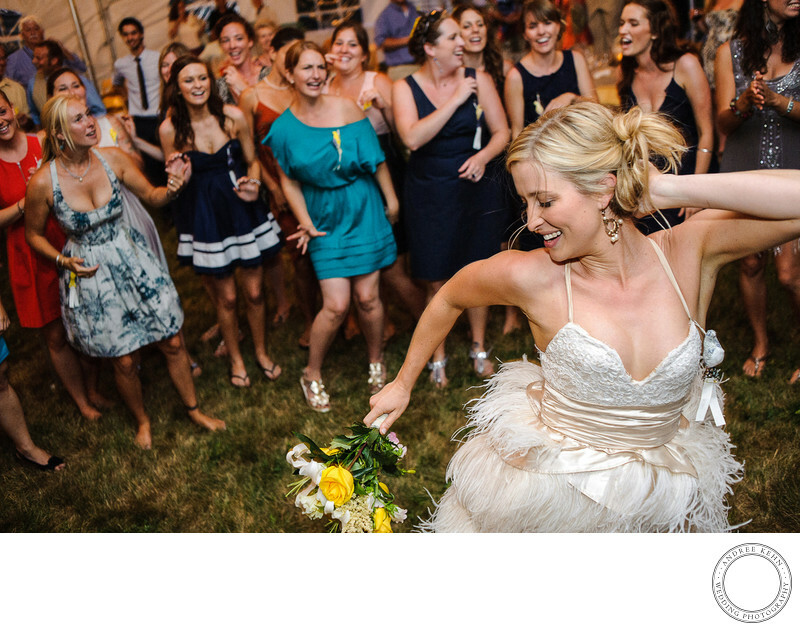 All the single ladies went bananas over the shimmy shimmy wedding dress, caterwauling, hooting and hollering. The casual feel of the tented wedding reception meant that many of the guests wore sandals and flats and it made for some terrific dancing. 1/80; f/3.5; ISO 3200; 35.0 mm.